Sangamo Therapeutics said today it has treated the first patient in the Phase I/II CHAMPIONS clinical trial assessing its in vivo genome-editing candidate therapy SB-913 for mucopolysaccharidosis type II (MPS II), also called Hunter syndrome. 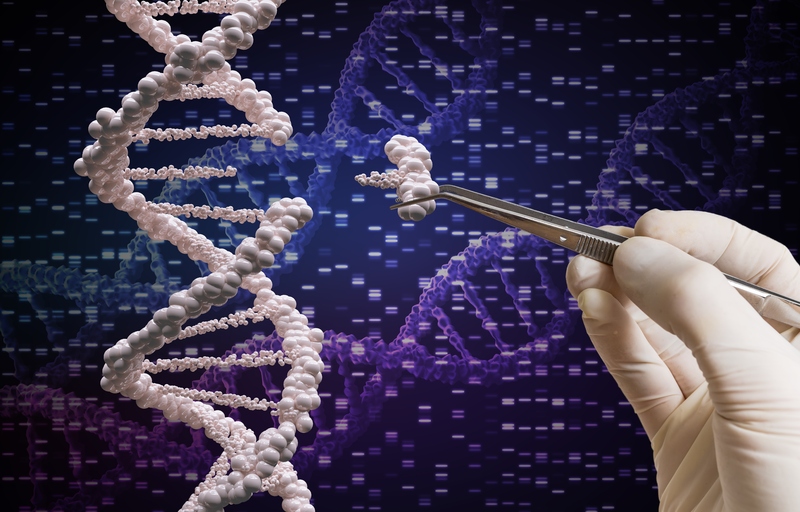 SB-913 uses Sangamo's zinc finger nuclease (ZFN) genome-editing technology to treat MPS II by inserting a corrective gene into a precise location in the DNA of liver cells. To restrict editing to liver cells, the ZFNs and the corrective gene are delivered in a single intravenous infusion using adeno-associated virus (AAV) vectors that target the liver. The ZFNs enter the cells as inactive DNA instructions in a format designed only for liver cells to unlock. Once “unlocked,” the ZFNs then identify, bind to, and cut the DNA in a specific location within the albumin gene. Using the cells' natural DNA repair processes, liver cells can then insert the corrective gene for iduronate-2-sulfatase (IDS) at that precise location. According to Sangamo, the ability of ZFN to permanently and precisely integrate the therapeutic IDS gene into the DNA differentiates the company’s genome-editing approach from conventional AAV cDNA gene therapy, as well as from lenti- or retroviral-based gene therapies that insert genes randomly into the genome. SB-913 is intended to enable a patient's liver to produce a lifelong and stable supply of an enzyme he or she currently lacks. Absent the IDS enzyme, people with MPS II experience a debilitating buildup of toxic carbohydrates in cells throughout their body. According to the NIH, approximately one in 100,000 to one in 170,000 people are born with MPS II. Current standard-of-care treatment consists of weekly infusions of enzyme replacement therapy (ERT)—yet IDS quickly returns to near undetectable levels in the blood in patients within a day of receiving ERT. Despite ERT infusions, patients endure progressive damage to heart, bones, and lungs, with many MPS II patients dying of airway obstruction, upper respiratory infection, or heart failure before they reach age 20, stated Paul Harmatz, M.D., a pediatric gastroenterologist and a principal investigator for the CHAMPIONS trial at the UCSF Benioff Children's Hospital Oakland, where the study’s first patient was treated. CHAMPIONS (NCT03041324) is an open-label clinical study designed to assess the safety, tolerability, and preliminary efficacy of the SB-913 investigational genome-editing therapy in up to nine adult males with MPS II. In addition to UCSF Benioff Children's Hospital Oakland, the study is also screening patients at hospitals that specialize in treating MPS II, including hospitals in Chapel Hill, NC, Chicago, Minneapolis, and Philadelphia. The primary outcome measure for CHAMPIONS is treatment-related adverse events in patients receiving SB-913, as assessed by Common Terminology Criteria for Adverse Events (CTCAE). An ascending-dose study of SB-318 in patients with MPS I, also called Hurler or Hurler-Scheie syndrome. (NCT02702115). The study will enroll nine patients, with an estimated primary completion date of January 2020. An ascending-dose study of SB-FIX in patients with hemophilia B (NCT02695160). The study will enroll 12 patients, with an estimated primary completion date of January 2021. All three trials use ZFNs designed to edit liver cells at the same location in the albumin gene, but differ in delivering the corrective gene relevant to the respective disease, Sangamo said. All three of Sangamo's in vivo genome-editing product candidates have received Fast Track and Orphan Drug designations from the FDA. In addition, SB-318 for MPS I and SB-913 for MPS II have also received the agency’s Rare Pediatric Disease designations.